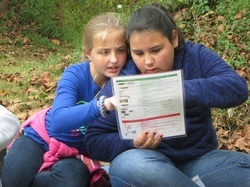 All NEST Students participate in a multi-year series of field-based experiences that teach core concepts step by step. Boxerwood educators lead these experiences with help from classroom teachers. Each thematic program is grade-specific and correlated to Virginia Standards of Learning (SOLs). 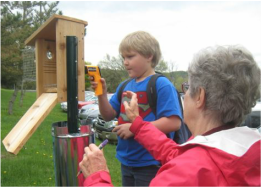 These half to full-day programs occur on the grounds of Boxerwood Nature Center or in parks and river settings in Rockbridge County. The focus is developing understanding, skills, and motivations that enable students to become capable earth citizens. 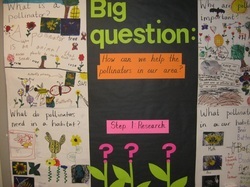 Follow-up teacher-led projects extend the field experience(s) back in the classroom. These projects occur at school, in schoolyards, and in the local community. These projects help students put their knowledge into action by focusing on student conservation actions. Some projects are tailored for a specific classroom; others involve multiple schools. Most NEST Students participate in at least one action project each year. Both NEST pathways emphasize hands-on learning, inquiry, and student decision-making.